Cooking is hard, especially when all you’re allowed to use is a microwave. Dorm life is a lot of things, but it is not an easy place to eat healthy. To help with that, here are 4 ways that make eating healthy in the dorms a little easier. Utilize the dining halls. 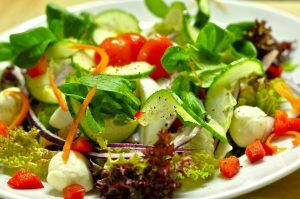 I know that it’s hard to see the healthy options in the dining halls when you’re constantly distracted by the delicious pizza and burritos, but trust me, there are some great options! My go-to is the salad bar. You get to make a huge, filling, healthy salad with a variety of toppings for under $5. Not to mention the array of salad dressings to choose from! Go to the Farmers’ Market. 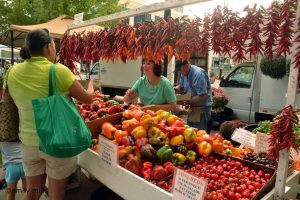 In the summer and spring, the Dane County Farmers’ Market at the Capitol is a great way to get fresh and local produce without breaking the bank! Just make sure you have room in the mini-fridge! Trader Joe’s. 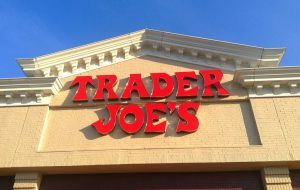 A short bus or bike ride away from the dorms, Trader Joe’s is another great source of healthy food, especially dorm room friendly items that won’t go bad! Dark chocolate peanut butter cups, anyone? 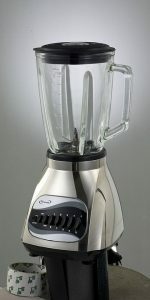 Invest in a blender. An easy way to get your daily dose of fruit is by making a yummy smoothie from frozen fruit that is easy to keep in the freezer! Just don’t use the blender at 6 in the morning and wake everyone on your floor up! There you have it! Four easy ways to eat healthy in the dorms!